Before you can turn the NetInstall service on you need to create a network disk image to boot from. Here’s how to do it. Before you can turn the NetInstall service on you need to create a network disk image to boot from. 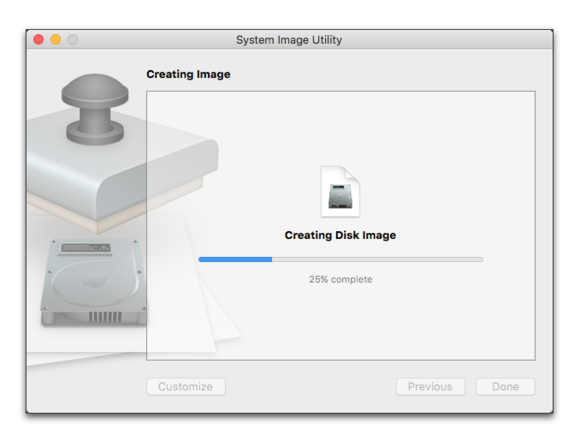 The easiest image to create is a NetInstall image, which lets you install or update an operating system on any Mac. 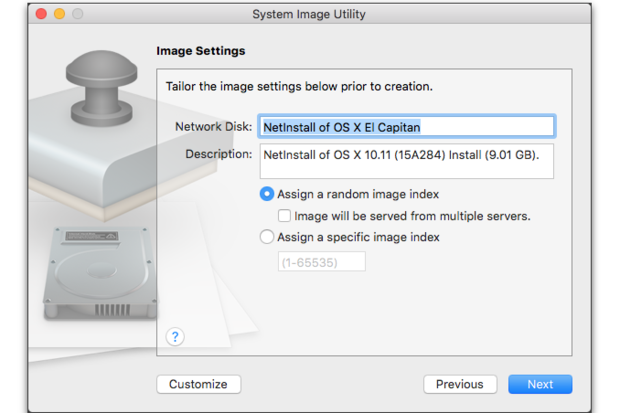 Before you can create a NetInstall image you need to make sure you have a fresh copy of the El Capitan installer downloaded to your hard drive. Open the App Store on your Mac with the Server app installed. Click the Purchased tab in the App Store. 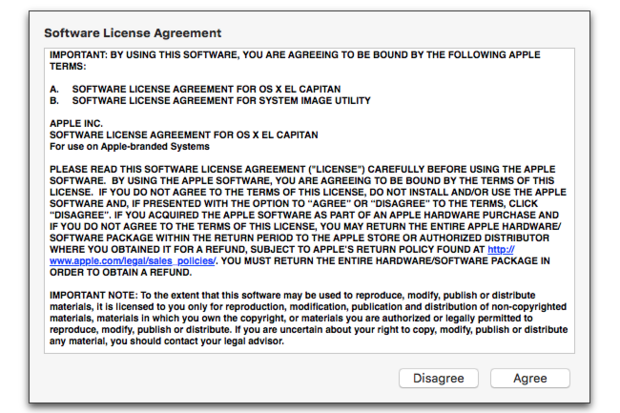 Locate OS X El Capitan in the list of purchased apps. If you see OS X El Capitan in the list, make sure it says Downloaded on the button next to the installer app. Click the App Store’s Featured tab. Locate and click OS X El Capitan in the Quick Links section of the App Store. Click the Download button for El Capitan. Sign in using your Apple ID if you’re asked to do so. Once you have a fresh copy of El Capitan you can create your first image. 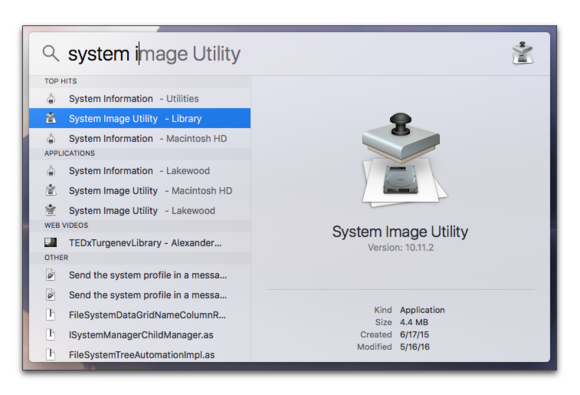 Every Mac, whether you have the Server app installed or not, includes a copy of the System Image Utility. It lives in the /System/Library/CoreServices/Applications folder, but you don’t have to navigate to that folder in order to open the app. 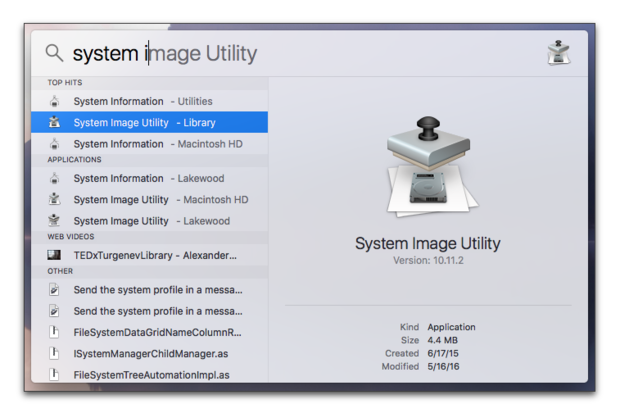 Instead, use Spotlight to find and open the System Image Utility. Type Command-Space to open Spotlight. Begin typing System Image Utility. Open the System Image Utility. 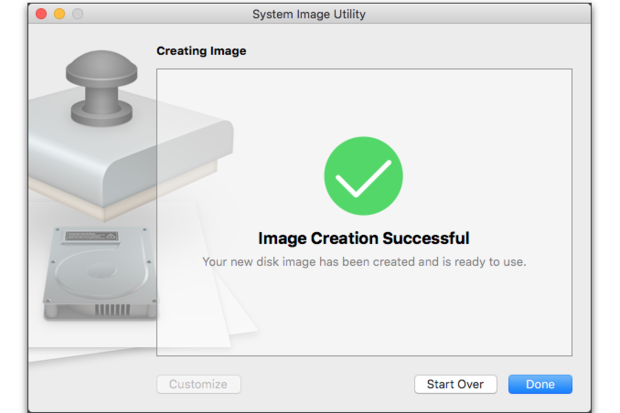 Opening the System Image Utility starts a workflow assistant designed to walk you through the process of creating a new network disk image. The first step in this process is selecting the source you want to create the image from. 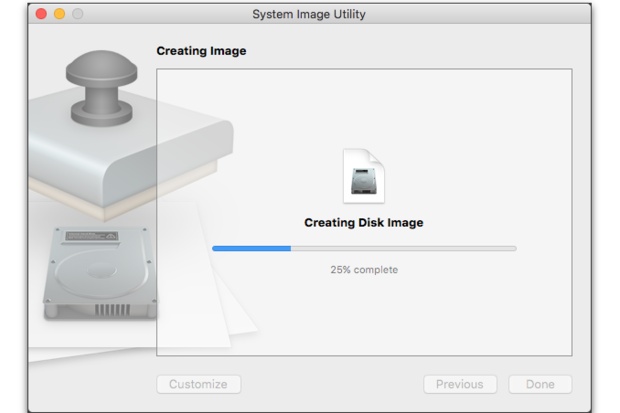 What you see in the Source menu depends on whether or not you have a downloaded El Capitan installer and whether or not you have any bootable disks, other than your boot volume, connected to your Mac. Because you just downloaded the El Capitan installer you should see that in the menu. 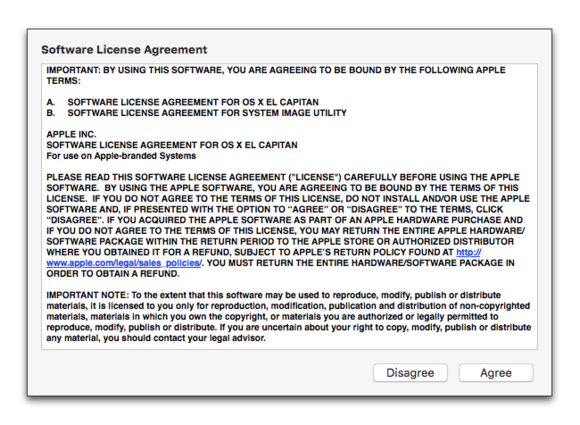 Select Install OS X El Capitan from the Source menu. Click Next. The next step asks you to select the type of network disk image you’d like to create. Note that you can select from the three different types of images we talked about last week. 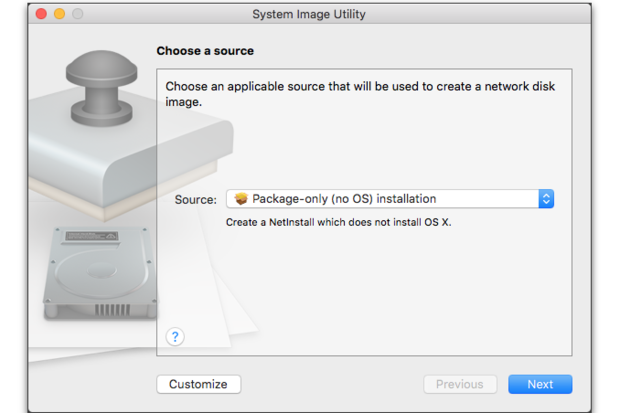 Click the radio button next to NetInstall Image. 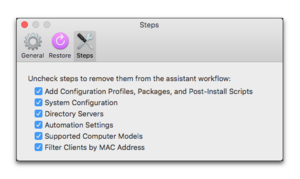 The next several several steps let you add Configuration Profiles, install application packages, run post-install scripts, set configuration information, bind to directory servers, and filter clients by Mac model or MAC address. 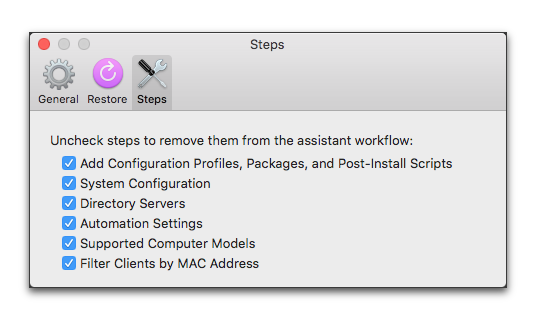 You can customize what you see in these steps by opening the System Image Utility’s Preferences, selecting Steps, and deselecting any steps you don’t want to see. We’re creating a basic image, so we won’t add files or make any changes here. Click Next until you see Image Settings. Information typed in the Network Disk field is what you will see in the Startup Disk preference or when holding the Option key and using the Startup Manager. When creating several NetInstall disk images you’ll want to make sure each Network Disk name is different enough that you won’t be confused when selecting the image you want to use. 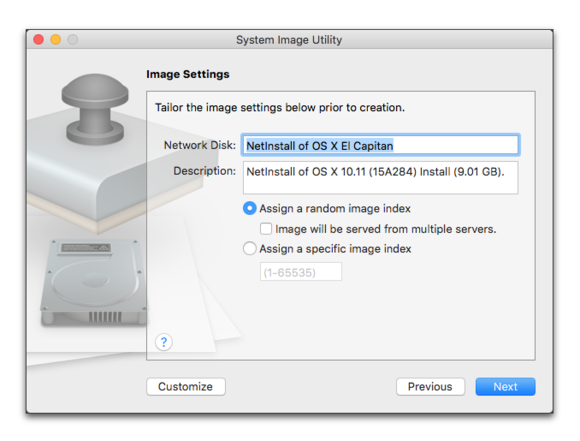 Enter NetInstall of OS X El Capitan in the Network Disk field. Leave the default information in the Description field. Select the “Assign a random image index” radio button. Make no changes to Supported Computer Models. Make no changes to Filter Clients by MAC Address. In the Save dialog window that appears, give your image a name and save it to your Desktop. Enter your Administrator User ID and password and press the Return key. 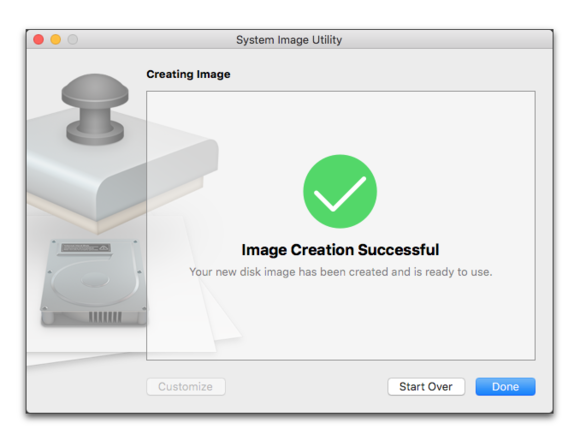 The System Image Utility will begin creating your NetInstall Image as soon as you hit Return. First it will create a disk image, then it will copy installer files to the disk image and add boot and kernel files to the NetInstall image folder. This should take about 5-10 minutes. Click Done when you see the Image Creation Successful window. 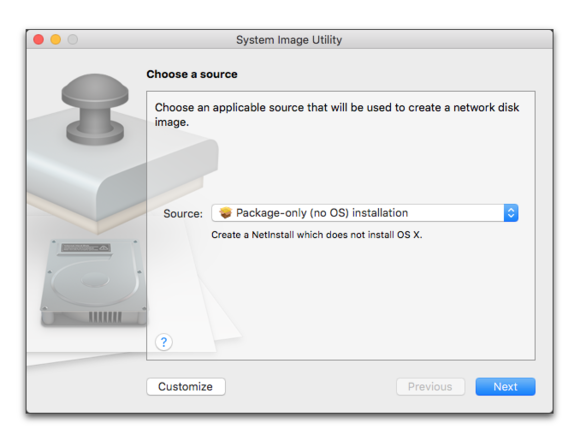 Next we’ll start the NetInstall Service and install OS X from this NetInstall image.